Written specifically with the student in mind and focusing on a number of well-known texts, including Les Liaisons Dangereuses, Nicholas Nickleby, Nice Work and The Color Purple, the contributions in this book demonstrate how we can look critically at literary adaptations and learn to distinguish between mythical images and the reality of the process that constructed them. They argue that adaptations should not be seen as secondary or marginal, because through them we can enter into an exciting debate with the literary text itself. Originally published in 1993. Peter Reynolds is Professor of Theatre Studies in the School of English at Newcastle University, UK. 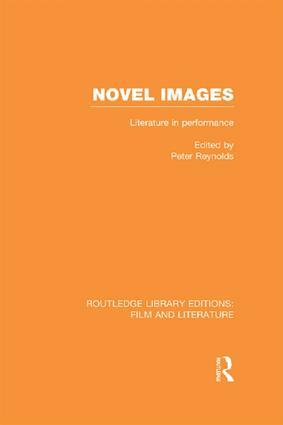 Reissuing works originally published between 1968 and 1993, Routledge Library Editions: Film and Literature offers a selection of scholarship covering the crossover of novels and the movies. Volumes on Shakespearean and Greek Tragedy films among others round this out to be an interesting compact collection of previously out-of-print works.